I came across an article from The Harvard Theological Review (Vol. VII, 1914), Martin Luther In The Light Of Recent Criticism by Ephraim Emerton. Emerton outlines the Catholic attack against Luther entering the monastery, launched by Catholic historian Heinrich Denifle. I don't normally cite large sections of text, but this review has keen insight into Catholic criticism of Luther's monastic vows. One thing of particular note is the evaluation of Denifle's method of argument against Luther, which I have highlighted in black. The words ring true of many current Catholic evaluations online. After that, I posted a section from J.M. Reu's book, Thirty Five Years of Luther Research (New York: AMC Press, 1970 reprint) pertaining to the same details about Luther's entrance into the monastery. It was natural that Father Denifle, himself a "religious " and a Dominican at that, should have directed his attack with especial venom against Luther's whole relation to the monastic system. It was not merely that Luther had abandoned his monastic profession, broken his vows, and led multitudes of others to do the same. His chief offence was that he had misrepresented the sacred idea of the regular life. Luther's own utterances on the subject would lead us to believe that he had entered the monastery in order that he might secure deliverance from the sense of sin that was oppressing him. He had given it a fair trial. He had not been in the attitude of rebellion against the minuteness of the rule, which had marked the attitude of Erasmus, for example. On the contrary, he had conformed with scrupulous exactness to every requirement, in the vain hope that thus he might acquire the peace of mind he sought. Failing to find this relief, he had passed through a stage bordering on despair, and out of this stage he had worked himself only through persistent study of the Bible and its interpretation in the light of the theology of Paul and Augustine. In other words, he had found through the process of personal experience his solution of the problem of personal sin and sinfulness. The method of conformity to a system of prescribed practices had failed. He had gone beyond and above all prescriptions to the personal and intimate relation of the sinful soul to the God who made it. Now this is what the dominant Church could not and cannot forgive. If the individual could thus leap over all the bounds of form and ceremony which it had established, then its occupation was gone, and it was quick to perceive this inevitable conclusion. Denifle did not waste his time in dwelling overmuch on the wickedness of breaking vows and seeking the gratification of sensual desire under the excuse of religious scruple. These things he characterizes with vicious side-thrusts which leave no doubt as to his opinion. What he chiefly dwells upon is the false-heartedness of Luther in professing any such idea of the monastic life. Luther ought to have known that the profession of the monk was not primarily a process intended for the deliverance from sin. The whole notion of the monastic vow as a "second baptism," whereby a man was sacramentally renewed in spirit, he declares to be a complete misapprehension. Not as a guarantee of spiritual perfection but only as an aid toward this end, is the regular life truly to be interpreted. All this Luther ought to have known and probably did know; so that he is guilty, not only of an overwrought hysterical motive in entering the monastery, but of deliberate lying about it when it became necessary to defend his apostasy. The answer to this particular charge of Denifle is admirably stated by Karl Benrath in his treatise on Luther in the Monastery. It is made clear that this is only one of the countless illustrations of Denifle's controversial method. He begins always with the point he desires to make, then seeks for words of Luther which by some perverse ingenuity can be twisted into a self-condemnation, then draws his foregone conclusion, and proceeds to build upon this the foundation for a new indictment. Benrath shows by a perfectly just historical method that Luther was fully justified in the year 1505 in thinking that the monastery life would be the surest way to secure him the peace which his boy's soul craved. It is not necessary to imagine that he expected any miraculous demonstration of such a deliverance. His surrender to the requirements of the house would indicate the contrary. What he probably did expect was that through this surrender he would find himself growing daily in what he would have called the Christian character. When he did not find this, he began the course of questioning and reaction which finally carried him outside the bounds of the monastic relation. It is unnecessary to dwell upon the foul insinuations with which Denifle pursues his victim during the years of struggle with the monastic limitations. Enough that his only material here consists of a series of scattered utterances of Luther himself, largely in personal letters, never specific in their references, and always leaving large room for interpretation, but used here with true Dominican inquisitorial cleverness in the sense most unfavorable to the defendant. Reduced to their lowest terms, they all fall back to the one simple statement that Luther was made a man and not a monk and believed that he was not singular in this respect. His unpardonable offence was that he believed a man was something better than a monk and did not hesitate to say so. This note of personal abuse is continued throughout the discussion of Luther's early years, and furnishes the foundation upon which the whole judgment of his later accomplishment is built. It has been the task of his Protestant defenders to show the falsity of the method and to illustrate this by reference to specific points. Denifle has then replied to his critics with sweeping accusations of a character quite in accordance with his assault upon Luther himself. The chief points in this rejoinder are found in the familiar charges of ignorance and falsehood. If we could accept this criticism, we should have to believe that all the vast output of German scholarship in the past two generations had been thrown away. These scholars, the most eminent in their field, are represented first as utterly incapable of understanding even the first principles of historical inquiry. Evidence means nothing to them, because they are constitutionally, or, if you please, confessionally disqualified to weigh and measure it. They cannot read the documents necessary to establish their opinion. They are ignorant of things that every Catholic child knows in its cradle. And then these ornaments of German scholarship, thus incapable of any worthy achievement, are united in a conspiracy to pervert the truth. They are worthy disciples of their master and involved in the same condemnation. The following is from J.M. Reu's book, Thirty Five Years of Luther Research (New York: AMC Press, 1970 reprint) pertaining to the same details about Luther's entrance into the monastery. Since Denifle had cast so many aspersions on Luther's monastery life, it became necessary to study this period of the life of the Reformer more thoroughly. Outside of the brief answers made to Denifle by Kolde, Seeberg, Haussleiter, Brieger, Koehler, Harnack and Walther, we have here especially to consider Benrath, and even more so Braun. 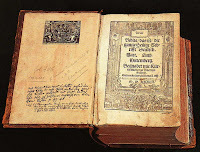 Because Denifle contends that since 1515, certainly since 1519, "the vow of chastity had proven itself irksome to Luther," and that the real motive for his defection from Rome is to be found in his weakness for carnal sins, Benrath takes into consideration the entire period from his entrance into the monastery up to his marriage. He discloses beyond contradiction the manipulations and distortions of facts exercised by Denifle, and permits us to see for ourselves how Luther during his monastery period outgrew the Mediaeval Church, and how the fundamentals were first laid in his own life. He shows that the position which Luther finally won over against the Roman Church can only be understood as the slowly matured result of religious development, a development, that had to pass through all stages of alleged certainty of gaining salvation and the bitter knowledge that external guarantees do not allay doubt until it found its way to the truly blessed certainty of God's paternity through Jesus Christ. Braun visualizes the internal development of Luther up to 1521, wherefore we must return to his work later on. We must, however, in this connection, consider that Braun very definitely brings out that it was not weakness for carnal sins that contaminated Luther all these years, and brought about the end of his relation with Rome. On the contrary, it was his eminently tender conscience, the very opposite of the "Kautschuk-conscience" trained by the Church, his conscience which would not allow itself to be soothed either through the at that time customary reference to the "Monk's Baptism" (i. e., to the power of order to make up for sins) or through sacramental magic, but which would trouble itself before and after dispensation of grace because of the consciousness of inherent lusts, until the New Testament conception of grace, with its mercy of God, that reckons no sins to the faithful, came into its own, and through faith in it peace entered the heart. Braun says "the Luther personality that becomes apparent to us through his theological endeavors is none other than the one we already know from his mode of life. His unbending veracity that is never guilty of distortion of justice, that by the scholastic distinctions of sins of omission, of weaknesses, of excusable ignorance, the scholastic assertion of the validity of good intentions, and whatever the rest of softening phrases, may be called, does not allow its moral convictions to be confused, but abides by the dictum of the conscience and calls sin sin,—his excellent psychological understanding of the methods of divine pedagogy, finally the unconditional dependence on the grace of God, because of which, following in the steps of Paul and Augustine, he finds nothing of good in himself, but attributes all of holiness, all of virtue, all of good to the freely given mercy of God,—all of these constitute the spiritual seal which Luther's theology bears. They are the proof that God was with him." (pp. 42-44). 38 For I am convinced that neither death nor life, nor angels nor principalities, nor present things, nor future things, nor powers, 39 nor height nor depth, nor any other creatures will be able to separate us from the love of God in Christ Jesus our Lord. While doing some digging around for Roman Catholic interpretations of these verses, I checked the footnotes of The New Catholic Answer Study Bible. Of course, if the magisterium would actually provide an infallible interpretation, it would save me a lot of time, and it would be a lot more accurate with what Rome actually says theses verses mean. But till then, I'm going to have to rely on the private interpretations of Rome's defenders. 8:38 Present things and future things may refer to astrological data. Paul appears to be saying that the gospel liberates believers from dependence on astrologers. 8:39 Height, depth may refer to positions in the zodiac, positions of heavenly bodies relative to the horizon. In astrological documents the term for "height" means "exaltation" or the position of greatest influence exerted by a planet. Since hostile spirits were associated with the planets and stars, Paul includes powers (38) in his list of malevolent forces. Now, what concerns me is not the difference in opinion between the NCAB and Baker's Evangelical Dictionary of Biblical Theology. Rather, I've been told recently that "Tradition" includes the way the Roman Catholic Church has interpreted a text. I would be interested in knowing if any Early Church Father supports the interpretation of the NCAB. If not, then why didn't the NCAB include the "consensus" as to what these verses mean? I skimmed through my Ancient Christian Commentary on Romans (vol. VI), and didn't see anything about astrology. Wouldn't it be more "Catholic" to actually tell us what Tradition says these verses mean? Did Luther Have a Valid Call To Monastic Life? When we consider the motives that prompted Luther to abandon the world, we fear he knew little about the ways of God and was not well informed of the gravity and responsibilities of the step he was taking. The calling he aspired to is the highest given to man on earth and because it is a ministry of salvation, replete with solemn and sacred obligations, it should not be embraced without prayerful consideration and wise and prudent counsel. It is only when vocation is sufficiently pronounced and when one by one the different stages of the journey in which are acquired continually increasing helps towards reaching the appointed goal, are passed, that one should enter the sanctuary. "No man," says St. Paul, "takes the honor to himself, but he that is called by God." That Luther was not called by God to conventual life seems evident enough from all the circumstances. Every sign and mark one looks for in aspirants to the monastic life were apparently lacking in him. Parent and friend alike knew this and opposed his course, feeling it was merely the expression of a temporary attitude of mind and not a real vocation. Luther himself admits that he was driven by despair, rather than the love of higher perfection, into a religious career. He says: "I entered the monastery and renounced the world because I despaired of myself all the while." From his earliest days he was subject to fits of depression and melancholy. Emotional by temperament, he would pass suddenly from mirth and cheerfulness to a gloomy, despondent state of mind in which he was tormented by frightful searchings of conscience. The fear of God's judgments and the recollection of his own sins sorely tried him and caused unnecessary anxiety and dread as to his fate. He saw in himself nothing but sin and in God nothing but anger and revenge. He fell a victim to excessive scrupulousness, and, as he was self- opinionated and stubborn-minded, he relied altogether too much on his own righteousness and disregarded the remedies most effectual for his spiritual condition. Like all those who trust in themselves, he rushed from extreme timidity to excessive rashness. Had he consulted those who were skilled in the direction of conventual religious and made known the troubled waters beneath the smooth surface of his daily life, he might have been made to understand that, owing to his abnormal state of mind and his natural disposition, he was not fitted for the carrying out of the evangelical counsels and thus have been prevented from forcing himself into a mould for which he was manifestly unsuited. In the uneasy and serious state of his conscience the advice and counsel of the wise and prudent were ignored. Moved by his own feelings and relying on his own powers, he suddenly and secretly decided for himself a career in life which, as events proved, was not only a mistake as far as he was concerned, but one fraught with disaster to innumerable others, whom he afterwards influenced to join in his revolt against the Mother Church[source]. The Call to Religion. In the summer of 1505 Luther influenced no doubt by his father, began the study of law. Sometime in July of the same year, while returning to Erfurt from a visit to Mansfield, he encountered a severe- thunderstorm near the village of Stotternheim; as a lightning bolt threw him to the ground, he vowed to St. Anne in a sudden panic that he would become a monk. To assume that the decision to enter the monastery was as impromptu as it is often depicted does Luther an injustice. His strict religious upbringing his natural bent toward piety, and above all the experiences of the last few years at the university were unquestionably factors of his move. In 1503 he had severely wounded himself by accidentally cutting the artery in his thigh and had spent many weeks in meditative recuperation. In the same year one of his closest friends, a fellow student, had died suddenly. The plague that struck the city of Erfurt in 1505 had made him keenly aware of the preeminence of death. All of this indicates that a call to religion was -something that had been in his mind for a long period. Nor is it without significance that he chose to enter the monastery of the Hermits of St. Augustine. The city of Erfurt boasted a Dominican, a Franciscan and a Servite monastery in addition to the Black Cloister, a member of the Observant, or stricter Augustinian, congregation of Saxony, which was by far the most severe religious house in the city. On July 16 1505, much to the chagrin of his parents, who were already selecting a bride for the student of law, Luther entered the novitiate. Soon after his profession, the exact date of which is not known, he was told to prepare himself for the reception of Holy Orders. He was ordained a deacon by the suffragan bishop, Johann von Laasphe of Erfurt, on Feb. 27, 1507; he received the priesthood in the Erfurt cathedral on the following April 4th. [Luther entry, The New Catholic Encyclopedia, Vol. VIII, p. 1086]. How does one decide between Father O'Hare or The New Catholic Encyclopedia? Both say very different things, creating two very different pictures of Martin Luther. The answer is that Father O'Hare's view is usually classified as the outdated approach to Martin Luther. O'Hare belonged to the tradition of destructive criticism that lasted in Catholic scholarship until the early 20th century. Kiefl appreciated Luther’s profound piety. He held Luther’s starting point and his main interest were religious. Merkle held Luther was searching for a religion for the heart, and he also saw the religious depth evident in the young Luther. Fischer saw Luther as a man of prayer: "However rich a Church may be in truly great Christian men of prayer, it would still have room for the distinctives of the praying Luther; it should not pass carelessly over this great man of prayer and his precious utterances on prayer and his excellent instruction on prayer." Jedin defended Luther's moral character against such scholars as Denifle. Lortz saw Luther as a deeply religious man: he entered a strict monastery and gave up care for himself to truly come face to face with a gracious God. Lortz states, "there is no doubt that he was a profoundly religious man, a true Christian, who lived by a deep faith in Jesus Christ, the Son of God, born of the Virgin Mary, crucified and risen to save us. We must also remember that all his life Luther was a man of prayer and a zealous preacher of the Word of God." Herte spent a fair amount of time refuting previous Catholic scholarship's vilification of Luther's character, as did Swidler. Hessen saw Luther as having a great experience with God, encountering him in Christ and his Gospel. Adam saw Luther as a man whose convictions were fed by an irresistible religious experience. Congar saw Luther as a profoundly religious man who had a deeply sensitive conscience. Sartory held love inspired Luther. Luther was was a homo religiosus, a genuine religious personality. Tavard says Luther was not the odd man out, but embodied the religious disquiet of many of his contemporaries. McDonough saw Luther as a man with a desire to be at peace with God. Luther had a real experience with God driven by the Scriptures. Todd saw Luther as a pious and intelligent monk. Wicks says Luther can be a forceful teacher of lived religion. Now I don’t believe in the validity of Roman Catholic monasticism, nor do I believe God calls anyone to such. However, how is it possible that Internet Catholic layman overlook their own scholarship? Many of Rome's writers see Luther as an honest religious man. I've read though, countless web pages or comments from Catholics that Luther did not have valid reasons for entering the monastery, nor did he have the right psyche to be in the monastery. He was not a sincere religious man. Given all we know though about Luther, I would say he was indeed a genuine religious personality. For the sake of argument, let's play on the field of Internet Catholic laymen for a moment. Suppose they argue that Luther's thunderstorm experience proves his was not a genuine calling to the monastery. I would ask, why would a fear of death invalidate a genuine religious call? Could not a person have both a serious call, and a fear of death? Does not the vow being kept point to a person deeply committed to their "spirituality"? Recall the old Burt Reynolds movie, "The End" (I think that's what it was called). He makes a vow to God at the end of the movie while swimming to the beach from far off in the ocean. By the time he's reached the shore, he has ignored the vow. While a movie isn't reality, isn't its message typical of human nature? We often ask God to get us out of something, only to eventually ignore whatever vows we've made in our silly attempts at bargaining with deity. Not so for Luther. One wonders if the same type of scrutiny is applied to such people like Ignatius of Loyola. He lay recuperating from severe wounds and made a decision for monasticism. Of course, had he been deemed a heretic, one could see Father O'Hare writing The Facts About Loyola, and how his calling to monasticism was not valid. I note that according to your link, Luther also commends 1 Maccabees saying: "it is proper for the first book to be included among the sacred Scriptures" And further there is a commentary note: *Luther comented on 1 Maccabees, "This is another book not to be found in the Hebrew Bible.﻿﻿ Yet its words and speech adhere to the same style as the other books of sacred Scripture. This book would not have been unworthy of a place among them, because it is very necessary and helpful for an understanding of chapter 11 of the prophet Daniel. "﻿ So if you agree that Luther had good reasons to reject 2 Maccabees, my question to you and other Protestants is why then do you not similarly listen to him on the matter of 1 Maccabees? Why then do you exclude 1 Maccabees from your canon? Or are you now going to tell us that Luther was wrong on the first count but right on the second? Here follow several pieces which we did not wish to translate [and include] in the prophet Daniel and in the book of Esther. We have uprooted such cornflowers (because they do not appear in the Hebrew versions of Daniel and Esther). Luther didn't think the apocrypha was canonical because it was not in the Hebrew Bible. He also gives various historical and theological reasons for non-inclusion in some of the apocryphal book prefaces as well. So much for Luther simply ignoring tradition and deleting books because of his own theology. Pop goes the balloon. How is it possible someone could actually respond to this? How much simpler can it be? Indeed I noted that first sentence well. Luther was commenting on the Hebrew Bible as it stood then, just as Jerome commented on it previously. This is certainly no comment on what the Jews considered sacred scripture at the advent of Christianity.But to use the guidelines of the Hebrew canon to determine the Christian canon, you would first have to prove that the Hebrew canon was completely closed before 70AD, especially in regards the group of books called the "Writings".I am still waiting to see such evidence. "It seems to me you're arguing for the sake of arguing. You had previously asked, "So if you agree that Luther had good reasons to reject 2 Maccabees, my question to you and other Protestants is why then do you not similarly listen to him on the matter of 1 Maccabees? Why then do you exclude 1 Maccabees from your canon?" I noted Luther's reasoning, but since the answer popped your balloon, you just moved into another area. No I am not arguing for the sake of arguing. It is a very valid question, which of course you have not been able to answer at all. I did not expect you to be able to answer my question unless you can point to some credible new scholarship or information which proves that the Hebrew Canon was completely fixed before the 1st century. So it did not surprise me to find you doing a fancy side step to avoid the issue I raised by the usual ad hominem devices. I acknowledged your link where you show Luther gives his reasons for rejecting 2 Macabees, but where he also states that he believes 1 Macabbees is scripture and should be included. Not that Luther's is anything but an individual's personal opinion. An opinion, I might add, who in MY estimation and that of many others, is most unreliable since his opinion was worthless in regards James,Jude, Hebrews and Revelation. Therefore one can reject Luther as an ultimate authority in fixing ANYONE'S canon. As I'm sure you do. Guess which book Luther included in this appendix? 1 Maccabees. If you read Luther's short preface to 1 Maccabees, he's consistent with the above statement, saying the book is "good for us Christians to read and to know." If you can find any statement from Luther saying 1 Maccabees is canonical scripture, you should write Catholic Answers right away, they would be relentless in posting such information against Protestants. You should step back and consider why you were able to uncover the wild fact that Luther held 1 Maccabees to be canonical Scripture, while Akin, Madrid, Sippo, Shea, Ray, (and so on) have not. Perhaps because....it isn't true? Think about it. This is another book not to be found in the Hebrew Bible.﻿﻿ Yet its words and speech adhere to the same style as the other books of sacred Scripture. This book would not have been unworthy of a place among them, because it is very necessary and helpful for an understanding of chapter 11 of the prophet Daniel.﻿﻿ For the fulfilment of Daniel’s prophecy in that chapter, about the abomination and misfortune which was going to befall the people of Israel, is here described—namely, Antiochus Epiphanes—and in much the same way that Daniel [11:29–35] speaks of it: a little help and great persecution by the Gentiles and by false Jews, which is what took place at the time of the Maccabees. This is why the book is good for us Christians to read and to know. In the first place, since Antiochus is regarded as a figure or image of the Antichrist who perpetrated the abomination and desolation of the worship of God in Jerusalem and in Judea not long before the birth and first coming of Christ, we learn from this to recognize the real Antichrist who is to devastate Christendom and destroy the worship of God [sometime] before the second and final coming of Christ. Therefore we should not be terrified when we experience such things and see them happening before our very eyes. Rather, be the chaos ever so great, and the devil as angry as he knows how, we should hold fast to this and take comfort in it, that we and all Christendom must nevertheless be sustained and finally saved. For we too see the help, though small and slight, which God the Almighty has begun to grant us. The dear and holy gospel is the sword with which God’s own can nevertheless valiantly attack the Antichrist of our day and actually accomplish something—even though it cost much suffering and bloodshed—just as God aided his people with the sword of the Maccabees in that day. Although it did not happen without persecution and great heartache, they nevertheless cleansed the temple, restored the worship of God [4:36–61], and brought the people together again under their former government. Today, in this same way, the gospel is sweeping out idolatry—as Christ says, that his angels will purge out of his kingdom all causes of offense [Matt. 13:41]—and is bringing the real Christians together again into the old true Christian faith and unto genuine good works and worship of God. In the second place we should take heart that God helped those people not only against Antiochus and the Gentiles but also against the traitorous and disloyal Jews who had gone over to the Gentiles and were helping to persecute, kill, and torment their own people and brethren. We should be sure of [God’s help] and remain unafraid even when false Christians and rabble-rousers—who have now become our betrayers—turn against us and plague and harm us as much as, if not more than, our Antiochus or Antichrist. For Daniel [11:32–34] has said it, and for our comfort proclaimed it, that things must happen this way; that the children of our people would deal treacherously with us and blithely help to persecute us. Therefore we shall not fare much better than those pious children of Israel did under their Antiochus or Antichrist, at the hands of their false brethren. However those same enemies and traitors are amply punished by God at the end; their tyranny and treachery does not go undetected. So with a glad eye and good courage we may face our Antichrist, tyrants, and rabble-rousers, and endure their abuse, confident that they will not go on very long, much less bring matters to the point they intend, that instead (like Antiochus and those other traitors) they will soon be getting their due reward. Indeed a good deal of that punishment has already begun and is daily increasing. Hardened and blinded, though, they remain unmoved by all this. However that makes no difference to us: they will get it just as those others did. Since they do not want it any other way, may God the Almighty grant that it be done quickly and soon, that his name be hallowed, his kingdom advanced, and all saddened hearts, now held captive in the kingdom of the devil and of the Antichrist, be comforted. Amen. There's a chapter in this book by a Roman Catholic named Zachary J. Hayes. He defends "The Purgatorial view" of the afterlife. While disagreeing with Hayes throughout, I did appreciate the candor by which he expressed himself. It was quite refreshing to read an articulate honest defense of purgatory, minus the typical ignoring of presuppositions that's so characteristic of Rome's defenders. Here are a few snippets that jumped out. "Is there some basis in the Scriptures for the doctrine of purgatory, or is there not? 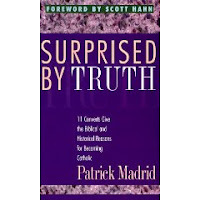 If we are looking for clear and unambiguous statements of the doctrine, we will look in vain... we might better ask if anything in Scripture initiated the development that eventually led to the doctrine of purgatory" (p.104). "Since the text seems to be more concerned with helping the fallen soldiers to participate in the resurrection of the dead, it is not a direct statement of the later doctrine of purgatory" (p. 105). These statements must not be construed to imply Hayes denies the relevance of these passages for purgatory. He argues for purgatory from tradition, and uses the classic acorn and oak tree analogy. 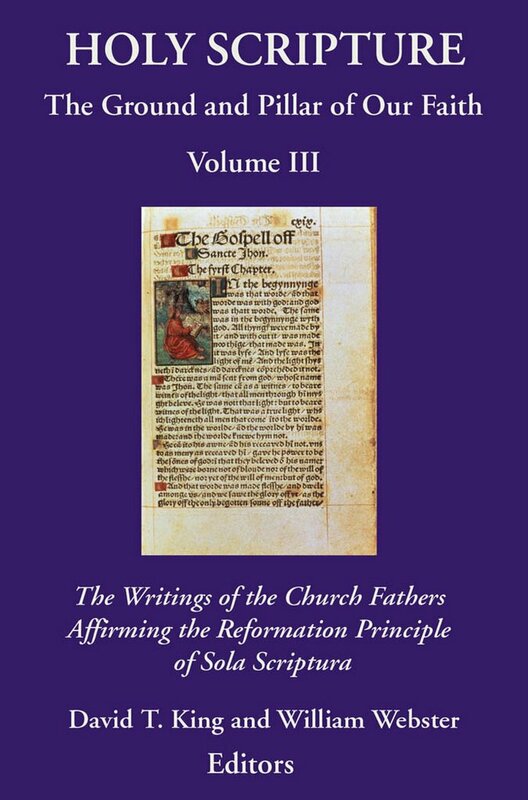 "If Roman Catholic theologians find the evidence of Scripture ambiguous, what follows after that is unavoidably a matter of tradition and the development of church doctrine" (p.108). "So for Roman Catholic theology, it is not surprising that we cannot find a clear textual 'proof' of the doctrine of purgatory in the Scriptures. But we are inclined to ask whether there are issues that lie at the heart of the biblical revelation that find a form of legitimate expression in this doctrine. One way or the other, the issue of purgatory is clearly an issue of development of doctrine" (p.109). There are many other fascinating statements from Hayes. I appreciate these honest admissions. Think of how much time and energy could be saved in discussion with Catholics if they would simply admit that proving purgatory has more to do with finding biblical passages that seem to be in harmony with the development, rather than actually clearly proving purgatory? For Catholics, the issue of Purgatory does not begin with the Bible, it begins outside the Bible, and is read back in. For Protestants, the issue of Purgatory begins with the Bible, and ends when no clear text can be produced to warrant a Biblical pedigree. Interestingly, a person on the CARM boards was asking recently, "I need specific scriptures that the Catholic Church uses to prove purgatory." The question should really be, “What are the specific passages the Roman Catholic Church uses that coincide with their development of the doctrine of purgatory?” I agree with Hayes and his honesty. No Biblical passage clearly teaches Purgatory. The doctrine developed, and Catholics in each time period have had to go back into the Biblical text to find passages that seem to allude to it as it develops. You better ignore us, this is not like your soapbox, where you shut down commenting when you start being confuted. I shut down comments or delete them when personal attacks and insults are in the comments, either toward me, or my other bloggers, or my other friends. Also if you use scatological language or profanity, you will be deleted. Even minor scatological language will get deleted, like using "hell" in a slang manner. I haven't kept these rules a secret, either. In one recent instance, I shut down the comments because what I had posted was so poorly interpreted, I didn't have the time to correct each misinterpretation. In another instance, I shut down the comments that I wasn't involved in because the discussion had reached the point of ridiculousness. It is very sad that Roman Catholics claim to have such a deeper "spirituality", yet, if I were to post the comments from Roman Catholics I've had to delete off my blog, one would wonder exactly what that deeper spirituality actually entails. Interestingly, I've noticed one well known Catholic apologist, with more than a few books published by an actual "real" publisher (not Lulu!) is prone to using profanity, like the "f" word on his blog, among other scatological statements. What is it with you guys? I'm hoping the angry and insulting Roman Catholics who come over here are the exception, and not the rule. I'm hoping the Catholics that make videos with insults, or create "spoof" blogs, call me a "Nazi," or send me angry and insulting e-mails do not represent most Roman Catholics. I've said it before, but it needs to be repeated: this year, I will have a very low tolerance level for insults in the comment boxes. 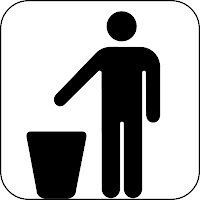 So far, 3 or 4 people are on "purposeful delete" every time they post, no matter what they post. "Renowned as an intercessor for suffering souls in purgatory, Our Lady of Mount Carmel answers the plea inscribed on the balcony: 'Virgin mother remember us. On our behalf speak to God. His anger turn away from us.' Christians who are still pilgrims on earth speak the prayer on the inside arch: 'Our Lady of the Scapular of Mount Carmel, pray for us who are clothed in your sign of salvation'." I am assuming the "anger" mentioned above is a reference to God's anger towards the remaining sin of those in purgatory. Most modern-day Catholics now speak of purgatory as a "cleaning up" which isn't quite consistent with the more historical view of purgatory as a punishment (to satisy God's justice or "anger" as quoted above) for personal sin. This quote also perpetuates a sad aspect of Mariology I have witnessed before - that Mary is a kinder, gentler mediator than Christ. The following originally posted 2/05/07 here. With the contemporary rise of Catholic apologetics, there has been a consistent trend to highlight the, “conversion story”. That is, Joe or Suzy was previously some sort of Protestant, but now they’ve “converted” to Roman Catholicism. Books, television broadcasts, radio programs, and internet web pages, all tell a similar glorious tale of journeying to Rome, and so should you. These are not conversion stories of the broken sinner bowing his knee to the merciful God, given by the Father to Christ and irresistibly drawn (like Paul’s recounting in Galatians 1; cf. Acts 9); rather, these are accounts of people accepting the alleged Roman Catholic “fullness of truth”, and a rejection of Protestant essentials like sola fide and sola scriptura. In other words, the emphasis is not on spiritual rebirth, but rather the acceptance and realization of a “higher knowledge”. The conversion is not to Christ, but to an infallible church. This apologetic use of the “conversion story” is directly borrowed from Protestantism. Being raised in an independent non-denominational church, I heard countless inspiring stories of the wayward sinner finding and choosing the love and grace of Christ. As a youth, I was always interested to hear how possibly my favorite rock star accepted Christ. These tales could be used as a “witnessing tool” to my non-Christian friends. “You see, person x converted, so should you.” With the current trend in Catholic apologetics, Joe Protestant became Catholic, so should you. As Evangelicals swam the Tiber, they brought their Evangelical methods with them to the shores of Rome. They brought their vocabulary and their communication skills: Catholic apologetics had been rejuvenated by disenchanted Protestants! These glorious tales of “former theological step-children” are nothing more than aspects of what Martin Luther called the “theology of glory”. The late medieval Roman church Luther was confronted with was a church filled with “glory.” By “glory,” Luther meant that the emphasis was not on the achievements of Christ, but on the achievement of the Roman Church, and those achievements were accomplished by the churches’ own power. Luther rejected the “glory of the church” and said the church is a suffering church, rather than a church of beauty and splendor. The church is not supposed to be a “glory” of political power and luxury. Conversion stories repeatedly put forth by Catholics are just that: examples of achievement and glory. They point to the abilities of a person and the supposed wisdom gained by crossing the Tiber. They do not point to Christ---they point to a triumphal entry into a magnificent human institution: the Roman Catholic Church. Their conversion stories are about what they did. They are about what wisdom and glory they achieved. Rather, Paul informs us that the message of the cross is foolishness, and God chooses those who are weak, lowly, and despised to be his children. “It is because of Him that you are in Christ Jesus, who has become for us wisdom from God- that is, our righteousness, holiness and redemption. Therefore, as it is written: ‘Let him who boasts boast in the Lord.’” Becoming a member of the church is to be given a life of trial and tribulation (1 Thes. 3:1-5). The Scriptures do not speak of joining a powerful visible institution, as judged by the world’s standards. Rather, the strength and splendor of the church is Christ and his Spirit that indwells His people everywhere. His people comprise a church that the world despises and seeks to destroy. To join this body is to join with those the world sees as fools. Hahn goes on to speak of the “anguish endured” by those who made the journey to Rome. The Bible though tells of how we should consider everything a loss compared to the surpassing greatness of knowing Christ Jesus, for whose sake we have lost all things. We should consider them rubbish that we may gain Christ and be found in Him, not having a righteousness of our own. Our conversions should be to know Christ and the power of his resurrection, and the fellowship of sharing in his sufferings, becoming like him in his death (Phil. 3:7-11). When someone converts to Christ, they are receiving His Lordship and ultimate rule of His word over their lives. I have not denied the Roman Catholic usage of the word “conversion” in their journey to Rome. For in this voyage, they have indeed made a decision from the heart, a conversion. They have received the Lordship of an alleged infallible church magisterium as the ultimate rule over their lives. It is not sola scriptura, but rather sola ecclesia. I submit the Scriptures do not speak of being transformed into the image of the Roman Catholic Church, but rather being transformed into the image of Christ. The Scriptures do not speak of the power of such a testimonial conversion to a “fullness of truth” in joining a particular church body. Rather, they speak of spiritually dead sinners being raised to spiritual life. By this resurrection they become members of Christ’s bride, His church. If you are to boast about your conversion, boast only that once you were blind and now can see. Boast only that you were once enslaved to your sins, but have now been freed by the perfect Savior. Stacey was kind enough to actually interact with my recent post on the inconsistency of the RCC. That's much appreciated, b/c prior to her there wasn't much meaningful action. Sorry for the delay. I've been bogged down in engagements with Darwinians elsewhere. Yes, and then the Corinthians were corrected, again, in 2 Corinthians. The Thessalonians were corrected about the very same issues a 2nd time in 2 Thessalonians. Plus, isn't it true that these epistles were sent AFTER Paul had spent varying amounts of time preaching and teaching in that church? Paul was in Rome a while. He was in Ephesus for 18 months! Yet they ended up getting it wrong after a while, and so he sent a corrective epistle. And Tertullian would have us believe that, after 18 months of preaching, a 6-chapter epistle would definitely be enough to fix it all up? How often does that happen in RCC, after people receive an infallible proclamation? Sure, some, even many, follow it faithfully...for a while. What about their kids and grandkids and great grandkids? How holy is the populace of Avignon these days? How about of Rome? Further, isn't it RCC's contention that oral tradition is what is missing out of the Sola Scriptura position, that Sola Scriptura is a blueprint for anarchy without the guiding power of the RCC's oral tradition? And here Stacey quotes Tertullian to the effect that an epistolary correction should suffice to clean up these errant churches, eh? Very, very interesting. which nevertheless even at this day, unite with those which were rebuked in the privileges of one and the same institution. Well, most of them don't today. Is there an unbroken line of succession of bishops from the time of the apostles in the church in Ephesus? *IS* there a church in Ephesus today? Does anyone even live in Ephesus today? Philippi? Colossæ? Laodicæa? "the final authority is the Church" would be a vital part of living Tradition. No, it's the governing authority of Tradition. That which defines what is and isn't Sacred Tradition® is not part of it at all; it sits in judgment OVER it. Let's not equivocate on terms here. You ask about the Theodoret quote. Point is, he's an early church writer. He's part of little-t tradition, from the 5th century. He's teaching Particular Redemption/Limited Atonement, a Calvinist distinctive doctrine. It is not (unless I'm mistaken) a view that is possible to hold and be in good standing with RCC, today. So this quote doesn't make it into Sacred Tradition® b/c it conflicts with MODERN RCC teaching. I'm sorry Stacey, but this is not the modern RC view (unless you want to count the touchy-feely liberal crowd who don't "judge" anyone). Justification by grace alone thru faith alone is not a view that is compatible with the doctrines of the treasury of merit, penance, and Purgatory, to say nothing of baptismal regeneration. In fact, Scripture teaches "not by faith alone" in James 2:24. There is reason to believe that when James said "faith", he meant "belief" and when Paul said "faith" he meant "obedience to the will of God". So when Paul said "faith", he meant "that which makes grace no longer grace" (cf Romans 11:6)? Interesting. Let me help you decode - maybe you could tell us all why "faith" suddenly means "works" now. This is precisely the point! You appeal to the RCC for EVERYthing, but the RCC can't back up its claims. Why is Athanasius' canon not part of Sacred Tradition®? B/c RCC at a more modern time said so. So it proves my point every time it does so. We cannot ignore the arrow of time, and once the Church has resolved the issue, then there should be no dispute in Tradition. Yes, simply by removing the parts that don't fit your view. This is eisegesis with history. We Reformed, OTOH, let the CFs be who they are. We don't cut anything out of what they said. We understand that they were non-inspired writers, whose views have their proper weight but no more. RCC appeals to them, leans on them for her authority that she exercises in modern times, and one way RCC exercises her authority is to cut out writings and pick and choose writings from these very CFs to whom they appeal to justify their authority. It's viciously circular. I think the issue of which books are included in the Old Testament canon is relatively insignificant to issues like "Is Christ present in the Eucharist?" and "Is baptism necessary for salvation?" No offense intended , Stacey, but who cares what you think about this issue's relative importance? You really don't think that being in the dark about what is God's revelation is a minor issue? No, indeed the Church does not include every word written by these men as the written Tradition. There is no written Tradition. 1) No written Tradition? None? So why does RCC quote CFs when it appeals to them for her authority? 2) Isn't this exactly the same as the admission that RCC is the final judge of what is and isn't true teaching, regardless of whether early Christians believed it or not? How is that not viciously circular? The Tradition that Catholics speak of is not the writings of the Church Fathers, it is that to which the writings testify. This is a pious cloud of nothing, I am sorry. How else do we know that to which they testify if there is no written Tradition? Oh wait, let me guess - The Church® told you so. I saw this on your blog earlier. Yep, I thought it was fine as it stood and so copied and pasted! :-) James S told me I could do that back when he hired me (though I suspect that, as he recently doubled my stipend, I should probably step it up and produce all-original work from now on). A submissive spirit to those He has put in authority over us, or a desire to exert our own will and understanding over those same people who are in authority over us? This simply begs the question of who is in proper authority. Heb 13:17 - my elders are in authority over me. I am a member of a church. But I do appreciate your concern. Yet you are relying on the authority of an organisation that appeals to herself to pick and choose which writings out of its alleged early members accord well enough with its current teaching to admit into one of the foundations of the authority by which it binds that authority on your conscience. Where did Scripture go? It suffers the same fate at RCC's hands as do the writings of the CFs - picked over, gleaned, the rest left to rot in the sun. Who really needs government bail out money to stay in business? Reason for these quotes outlined here. "A rule of faith, or a competent guide to heaven, must be able to instruct in all the truths necessary for salvation. Now the Scriptures alone do not contain all the truths which a Christian is bound to believe, nor do they explicitly enjoin all the duties which he is obliged to practice. Not to mention other examples, is not every Christian obliged to sanctify Sunday and to abstain on that day from unnecessary servile work? Is not the observance of this law among the most prominent of our sacred duties? But you may read the Bible from Genesis to Revelation, and you will not find a single line authorizing the sanctification of Sunday. The Scriptures enforce the religious observance of Saturday, a day which we never sanctify. The Catholic Church correctly teaches that our Lord and His Apostles inculcated certain important duties of religion which are not recorded by the inspired writers. [See John xxi. 25; II. Thess. ii. 14.] For instance, most Christians pray to the Holy Ghost, a practice which is nowhere found in the Bible. We must, therefore, conclude that the Scriptures alone cannot be a sufficient guide and rule of faith because they cannot, at any time, be within the reach of every inquirer; because they are not of themselves clear and intelligible even in matters of the highest importance, and because they do not contain all the truths necessary for salvation." Pigs are flying and cows have sprouted wings. I've been getting a bunch of hits from this mystery site: http://cryptocatholic.blogspot.com/. Exactly what do you folks want? "Moreover, I would wish that all, making a resolution similar to my own, do not keep themselves away from the words of the Savior. For they possess a terrible power in themselves, and are sufficient to inspire those who turn aside from the path of rectitude with awe; while the sweetest rest is afforded those who make a diligent practice of them." Source:ANF: Vol. I, Dialogue of Justin, Chapter 8 . Here is my response to William Albrecht's video. I've recorded my response as an MP3 file with a portable MP3 player. My apologies for the slight distortion, I didn't feel like re-recording it again. Q. Does the Lord make use of apostate Catholics, such as Martin Luther, Calvin, John Knox, Henry VIII., King of England, to reform the manners of the people? A. The thought is absurd. The lives of those men were evil, and it is only the devil that makes use of them to pervert the people still more. The Lord makes use of His saints, such as a St. Francis of Assisium, a St. Dominick, a St. Ignatius, a St. Alphonsus, to convert the people and reform their evil manners by explaining to them the truths of faith, the commandments, and the necessity of receiving the sacraments with proper dispositions, and by setting them in their own lives the loftiest example of faith, purity, and all Christian virtues. Q. Are there any other reasons to show that heretics, or Protestants who die out of the Roman Catholic Church, are not saved? 1. They have no divine faith. 2. They make a liar of Jesus Christ, of the Holy Ghost, and of the Apostles. 3. They have no faith in Christ. 4. They fell away from the true Church of Christ. 5. They are too proud to submit to the Pope, the Vicar of Christ. 6. They cannot perform any good works whereby they can obtain heaven. 7. They do not receive the Body and Blood of Christ. 8. They die in their sins. 9. They ridicule and blaspheme the Mother of God and His saints. 10. They slander the spouse of Jesus Christ —:the Catholic Church. Q. What is the act of faith of a Protestant? A. O my God, I believe nothing except what my own private judgment tells me to believe; therefore I believe that I can interpret Thy written word—the Holy Scriptures —as I choose. I believe that the Pope is anti-Christ; that any man can be saved, provided he is an honest man; I believe that faith alone is sufficient for salvation; that good works, and works of penance, and the confession of sins are not necessary, etc. Q. Have Protestants any faith in Christ? A. Because there never lived such a Christ as they imagine and believe in. Q. In what kind of a Christ do they believe? A. In such a one of whom they can make a liar, with impunity, whose doctrine they can interpret as they please, and who does not care about what a man believes, provided he be an honest man before the public. Q. Will such a faith in such a Christ save Protestants? A. No sensible man will assert such an absurdity. A quote from the Catholic Encyclopedia and Jimmy Akin had no effect, so my intention was to provide further documentation of the Catholic view of partim-partim in a new post. Unfortunately, I have still not had the time to get that post together, but Rhology was kind enough to provide his own post and some other Catholic commenters have agreed that partim-partim is an allowable viewpoint to hold (for more background, read Rhology's post and the comments there). However, I still think the subject is worth another post and I have a fair amount of quotes to share. But it may be a few days to weeks before I have time to sit down and formulate the post. So in the meantime, I have decided to just post a quote here and there leading up to a full post sometime in the future. Comments will be closed on these quotes to reserve discussion for the final post. 2. Why must we believe all that God has revealed? Because God is the eternal and infallible truth. 3. What means 'all that God has revealed'? It means all that God has made known for our salvation by the Patriarchs and Prophets, and last of all by His Son Jesus Christ and the Apostles. 4. How has divine revelation come down to us? Divine revelation has come down to us partly by writing—that is, by the Holy Scripture, or the Bible; partly by word of mouth—that is, by tradition. 11. Is it enough to believe only what is contained In the Holy Scripture? No; we must also believe Tradition—i.e., those revealed truths which the Apostles preached, but did not commit to writing. 13. What, then, must the Catholic Christian believe in general? He must believe all that God has revealed and the Catholic Church proposes to his belief, whether it be contained in the Holy Scripture or not. I've been kind of "live blogging" my day. I've not done this before. The blog entries are unplanned, and represent some of the things I came across today. Swan: In Luther’s theology, faith is a gift from God. Atheist: Why is faith a gift from God? Faith is exactly what is required to propagate a religion based on a non-existence God. You could not build a false religion without it. Why would such a quality be a gift from God? 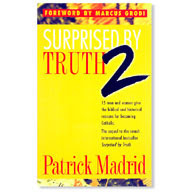 Swan: I will not debate fundamental presuppositions with you- intellectual honesty demands that at some level, every person has faith based presuppositions.What I will do though is give a look inside Luther's thought.For Luther, the God people construct in their heads is not the God that revealed Himself to the world. When people construct "god," they typically create an angry all consuming powerful omnipotence. For Luther, God appears where you would least likely find Him: hanging and dying on a cross in weakness, being punished as a criminal. "Reason" would never construct a god like this. This God requires faith to believe in, and that faith is a gift. "A number of early theologians taught the saints in heaven could see the torments of the damned. The sight of their suffering increased the pleasure of those saints because they could see divine justice in operation, making their own bliss all the sweeter by contrast" [Four views of Hell (Grand Rapids: Zondervan, 1996),p.47]. I briefly looked through the Catholic Catechism to see if this factoid made it in, unless I missed something, I didn't find it. I was curious if this was part of "Tradition." Perhaps one of my Roman Catholic readers can help me out on this. Cited as holding this are Augustine and Aquinas. But in what way shall the good go out to see the punishment of the wicked? Are they to leave their happy abodes by a bodily movement, and proceed to the places of punishment, so as to witness the torments of the wicked in their bodily presence? Certainly not; but they shall go out by knowledge. For this expression, go out, signifies that those who shall be punished shall be without. And thus the Lord also calls these places the outer darkness, Matthew 25:30 to which is opposed that entrance concerning which it is said to the good servant, Enter into the joy of your Lord, that it may not be supposed that the wicked can enter thither and be known, but rather that the good by their knowledge go out to them, because the good are to know that which is without. For those who shall be in torment shall not know what is going on within in the joy of the Lord; but they who shall enter into that joy shall know what is going on outside in the outer darkness. Therefore it is said, They shall go out, because they shall know what is done by those who are without. For if the prophets were able to know things that had not yet happened, by means of that indwelling of God in their minds, limited though it was, shall not the immortal saints know things that have already happened, when God shall be all in all? 1 Corinthians 15:28 The seed, then, and the name of the saints shall remain in that blessedness,— the seed, to wit, of which John says, And his seed remains in him; 1 John 3:9 and the name, of which it was said through Isaiah himself, I will give them an everlasting name. Isaiah 56:5 And there shall be to them month after month, and Sabbath after Sabbath, as if it were said, Moon after moon, and rest upon rest, both of which they shall themselves be when they shall pass from the old shadows of time into the new lights of eternity. The worm that dies not, and the fire that is not quenched, which constitute the punishment of the wicked, are differently interpreted by different people. For some refer both to the body, others refer both to the soul; while others again refer the fire literally to the body, and the worm figuratively to the soul, which seems the more credible idea. But the present is not the time to discuss this difference, for we have undertaken to occupy this book with the last judgment, in which the good and the bad are separated: their rewards and punishments we shall more carefully discuss elsewhere. ...Nothing should be denied the blessed that belongs to the perfection of their beatitude. Now everything is known the more for being compared with its contrary, because when contraries are placed beside one another they become more conspicuous. Wherefore in order that the happiness of the saints may be more delightful to them and that they may render more copious thanks to God for it, they are allowed to see perfectly the sufferings of the damned. ...Proves that counting is sometimes difficult. Turretinfan has commented on the recent 2,000 year-old Assyrian Bible. Worth a look! Very insightful. "While some Vatican documents are meant for specialists of canon law or theology, he explained, others are meant for all Catholics. Why does the Vatican forget we have Catholic Answers and Internet Catholic apologists to interpret and explain things? Luther added the word "alone" to Romans! Of course, Rome still isn't on the right page yet. PS: To my fan club...go find the newspaper the article was talking about, and check the quote. I don't for a moment believe the pope believes the gospel. Was the article talking about something from November '08, or something recent? If he really said Luther correctly "translated Paul" I'd like to see that. He would be agreeing with others before Luther who likewise translated Romans 3:28. I shut down the comments because I'm not interested in Catholics coming over here and attempting to argue Protestants and Catholics are on the "same page" about the gospel. We are not. You can keep your "joint declaration" comments on your own blogs. And by the way, in case you didn't (and you probably didn't), earlier, I actually wrote the author of the statement for clarification. I was directed to this article on the Perpetual Virginity by an EO priest and decided to run through it. Why not believe in her ever-virginity? B/c the preponderance of the biblical testimony is against it, but in a way he's right b/c it's not a big deal either way. The main problem (not for an EO, but for RCC) is that RCC has dogmatically proclaimed that belief in the PV of the BVM is a dogma that MUST NOT BE DISBELIEVED on pain of loss of salvation. Rome has made it part of the Gospel, and that is disgusting. To argue against Mary's perpetual virginity is to suggest something else that is greatly implausible, not to say unthinkable: that neither Mary nor her protector, Joseph, would have deemed it inappropriate to have sexual relations after the birth of God in the flesh. This is a ridiculous thing to say. Hebrews 13: 4 - Marriage is to be held in honor among all, and the marriage bed is to be undefiled; for fornicators and adulterers God will judge. Look at that - it is to be held IN HONOR among all. So, Mary and Joseph did not engage in some honorable activity that was available to them? 1 Cor 7:2But because of immoralities, each man is to have his own wife, and each woman is to have her own husband. 3The husband must fulfill his duty to his wife, and likewise also the wife to her husband. 4The wife does not have authority over her own body, but the husband does; and likewise also the husband does not have authority over his own body, but the wife does. 5Stop depriving one another, except by agreement for a time, so that you may devote yourselves to prayer, and come together again so that Satan will not tempt you because of your lack of self-control. To say that "Well, Mary wouldn't be subject to those immoralities, wouldn't be prone to that kind of temptation" is to engage in wishful speculation. The standing command is, if you're married and physically able, you engage in marital conjugal relations, and that is honorable, commanded, good, and undefiled. An early first-century popular rabbinical tradition (first recorded by Philo, 20 BC-AD 50) notes that Moses "separated himself"
I suppose that might matter if 1st-century popular rabbinical traditions (kinda like the one that Jesus condemned in Mark 7:1-13) were to be our authority. There is no indication of this in the OT text. they express the popular piety in Israel at the time of the birth of Christ. Popular piety at the time of Christ also led to incredible hypocrisy of action, where great crowds followed Christ around so that He'd heal them and feed them, yet walked away from Him when He gave them hard teaching in John 6, shouted Hosanna and fêted him with palm branches when He entered Jerusalem, yet screamed "Crucify Him!! His blood be on us and on our children!" a few days later. Would this not have been grounds to consider her life, including her body, as consecrated to God and God alone? Yes, of course! Now, were you going to discuss the question of Mary's perpetual virginity sometime? Or it more plausible that she would shrug it all off and get on with keeping house in the usual fashion? With the Son of God in her household? No, of course not. She "treasured up all these things in her heart." Now, about her perpetual virginity...? Consider that the poetically parallel incident of the Lord's entry through the east gate of the Temple (in Ezekiel 43-44) prompts the call: "This gate shall be shut; it shall not be opened, and no one shall enter by it, for the Lord God of Israel has entered by it; therefore it shall be shut" (44:2). And on what basis does he make the connection between the Temple and Mary? Does anyone in the NT ever do that? The Temple was also profaned and destroyed by foreign invaders, and later rebuilt. It was profaned by Judan kings who set up false idols inside. The high priest could enter once a year. How are these things paralleled in Mary's life? Or is it just the case that he is making specious parallels? B/c God had specifically commanded how the Ark was to be carried, and they weren't doing it that way. Where is the command about not touching Mary? Uzzah's touching it was defiling and dishonorable, but as we've seen, the marriage bed is UNdefiled and is honorable. So the analogy is way off. Joseph, man of God that he was, would neither have dared nor desired to approach Mary, the chosen of Israel, the throne of God, to request his "conjugal rights"! Notice the implicit swipe at Mary's virtue here. It's not Joseph's place to "request" it, it's Mary's responsibility to offer and participate wholeheartedly, just like it was Joseph's. I thought Mary was all-virtuous and the most obedient woman who ever lived. The point is that the commonly used Greek word for a male relative, adelphos, can be translated "cousin" or "brother" if no specific family relation is indicated. But there is at least one Greek term that can easily be used to mean "more distant male relative", but (edit for clarity in green) there is only the one whose semantic range includes "brother". Nowhere is Mary explicitly stated to be the mother of Jesus' brothers. Let me recommend Eric Svendsen's discussion of this in his book Who Is My Mother?. Here he is attempting to cast doubt on the transparent meaning of "firstborn". This is a vague answer to a weak argument against the PV of the BVM. our Lord commits His Mother into the care of St. John as He dies on the Cross. Why would He do so if she had other children to look after her? B/c "even His brothers (oops, I mean distant cousins) were not believing in Him". He devotes her to the motherhood of a believing disciple. Mary's ever-virginity is not essential to the proclamation of the Gospel, and this is true on a certain level. Here this unbelieving, disobedient priest bucks against the rightful authority that he should heed, the RCC. Just saying. Mary was not a happenstance vessel of God; rather her role in our salvation was prepared from the beginning of the ages. Well, either that or God knew all the possible options from the beginning of the world but didn't know for sure how it would play out, but worked it toward His purpose to make it happen. Thankfully, it did all work out. She was not cast aside as an article that is no longer useful. Notice the extremes, the false dilemma. Either she was the perpetually virgin, or she was an article that is no longer useful. One thing I appreciate about these kinds of views is how they lift up the every-day believer. What room is there for my wife, for example, to be encouraged by Mary's example, since she has apparently abased herself before my requests to conjugal relations (to use this priest's words) and therefore is an article that is less useful to God. How exactly is this supposed to be the grand inspiration to anyone? that is worthy of your beauty? By what name shall I call you? Hail, O full of grace." This, friends, is but one more illustration of why the Reformation was and continues to be so important. (Carrie) made the claim that the Catholic Church teaches some concoction of theology known as partin-partim (sic) and I am demanding that she produce the Catholic document where she found that. Now you (Rhology) come to obscure the facts because you think it is your duty to defend every silly statement made by a Protestant. I repeat, where is the primary Catholic source that indicates the Catholic Church teaches partim-partim view of revelation? You either produce the document or you disqualify yourself from being able to discuss, with any level of integrity, Catholic issues. First of all, yes, I defend EVERY statement made by a Protestant that Dozie thinks is silly. Every. Single. One. Now that we have that out of the way, I thought I'd produce a few Romanist documents to that very effect. Carrie could probably find some other, much juicier ones, but these ought to do for now. Just so you know, the claim is that Rome has never authoritatively pronounced to the effect that the Scripture is materially sufficient, that it contains, at minimum in nascent form, the foundation for all Roman dogma. The partim-partim view contends that the Scripture contains some of it and that some of it is found in Sacred Tradition, neither of the two having all of it. "Catholics, on the other hand, hold that there may be, that there is in fact, and that there must of necessity be certain revealed truths apart from those contained in the Bible" (Catholic Encyclopedia, Vol. XV [New York: Encyclopedia Press, Inc, 1913], p. 6, 2nd column). Peter Stravinskas, S.J. - "(a study of the debates at the Council of Trent) will demonstrate that no single theory of divine Revelation dominated the catholic landscape prior to Trent and indeed that none really did afterwards, either. Granted, all the Catholic apologists were united in asserting that both Church and Scripture carried weight, but they were far from unanimous in explaining the relationship between the two" (Not By Scripture Alone, Robert Sungenis, editor). Karl Keating - "It is true that Catholics do not think revelation ended with what is in the NT. They believe, though, that it ended with the death of the last apostle. The part of revelation that was not committed to writing - the part that is outside of the NT and is the oral teaching that is the basis of Tradition - that part of revelation Catholics also accept, and in this they follow the apostle Paul's injunction..." (Catholicism and Fundamentalism, 1988, p 151). Joseph Ratzinger, the future Pope Benedict XVI - "...no one is seriously able to maintain that there is a proof in Scripture for every catholic doctrine" (Joseph Ratzinger, "The Transmission of Divine Revelation", commenting on article 9 of Dei Verbum. Found in Vorgrimler, ed, Commentary on the Documents of Vatican II, vol 3, p 195).